Hello everyone. It’s time for another Freebie Friday. 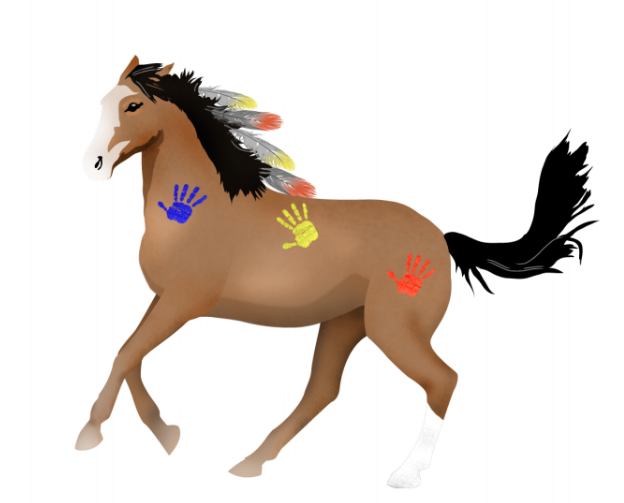 Today’s freebie is from Spirit Lake and it’s a piece of clip art. The clip art is of the Buffalo Pony. The Buffalo Pony was trained so well that it would respond to certain touches that its rider used to command different actions. Those signals would allow the rider of the Buffalo Pony to be able to ride hands free and use other items while on horseback. The Buffalo Pony was very valuable that it was often gifted by its owner as a sign of their generosity. You can view and download the Buffalo Pony image below. We like to provide resources for all of our games, so that even when our games are not being played these resources can supplement the content taught. We have various teacher resources available for our games on our Teacher Resources page. Feel free to check out the many resources such as powerpoint presentations, photos, charts and more that we have on our teacher resources page. Since we want to make life easier for educators, we provide teacher resources on various educator sites. With that said, we also have great math videos on our Teacher Tube channel and more resources on our Teachers Pay Teachers page. We know how hectic life can be for an educator, so we do what we can to help educators find great teacher resources. Check them out! Have a great weekend and be sure to catch another Freebie Friday next week! Use math and help save your tribe. Buy Spirit Lake today!